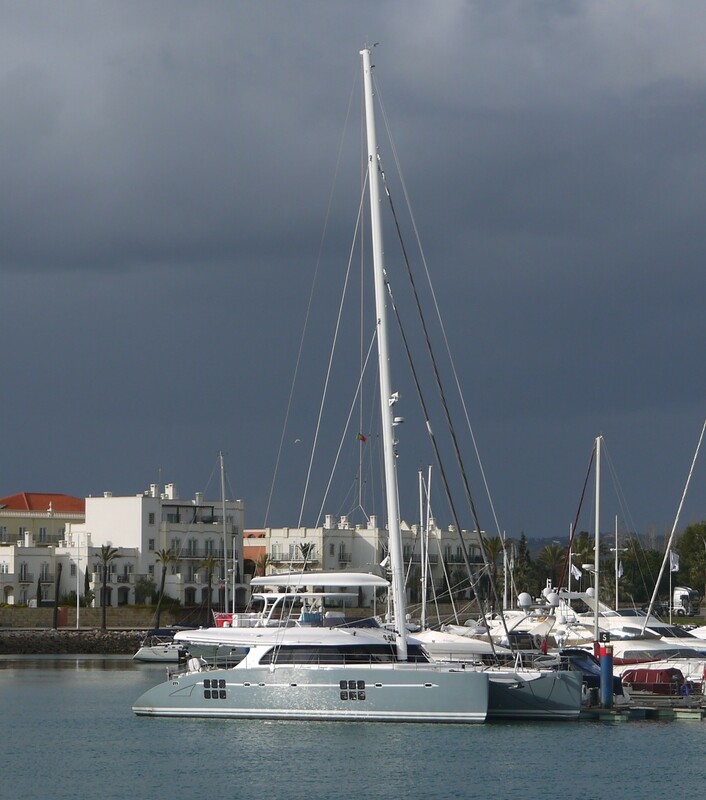 Catamaran ANINI is a 70ft sailing yacht and the 7th vessel of the Sunreef 70 Sailing series launched in 2011. 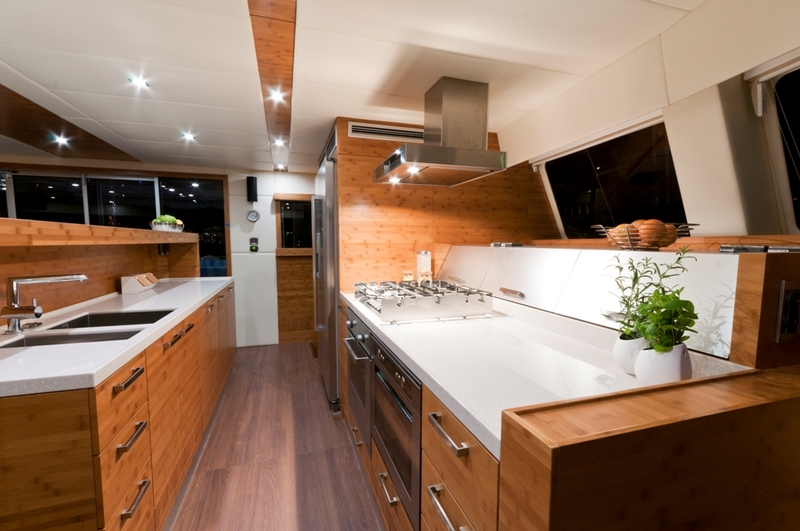 ANINI superyacht´s interior features clear references to the Sunreef 114 charter yacht CHE, with the caramel bamboo wood applied to all wooden furniture, door and window frames, and decorative ceiling panels. 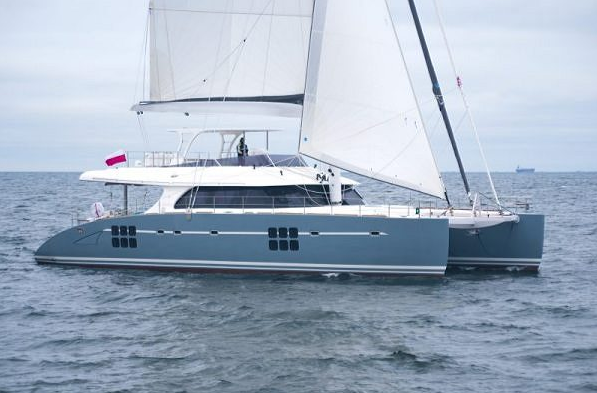 Sunreef luxury yacht ANINI accommodates 8 guests in the master suite and one guest cabin in the portside hull and two guests (one with bunk beds) with one crew cabin for 3 crew members in the starboard hull. 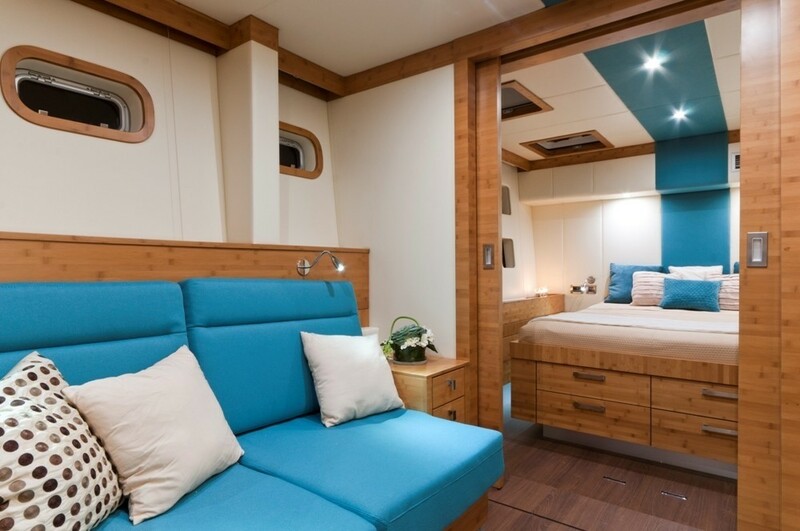 The master suite features a double bed with night tables, an extendable sofa, work desk, TV and DVD, and plenty of storage for long cruises. 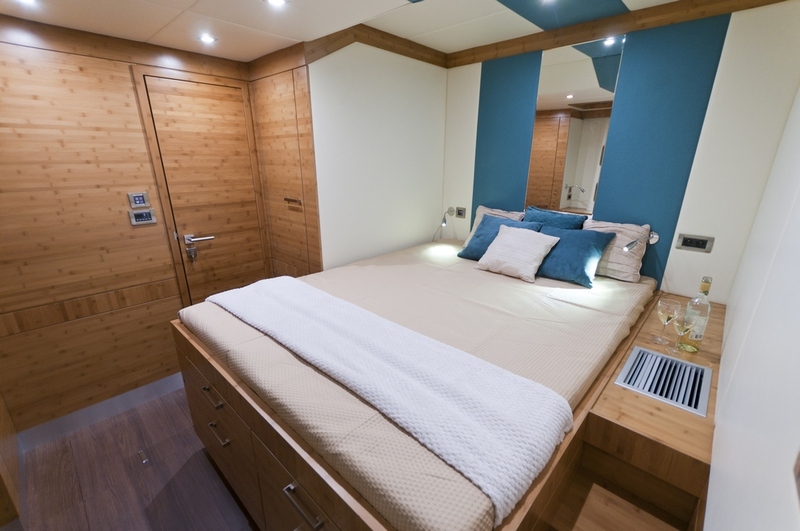 One of the guest cabins and the crew cabin are fitted with double beds, and the second guest cabin, prepared for children, has bunk beds. All cabins have private en-suite bathrooms. 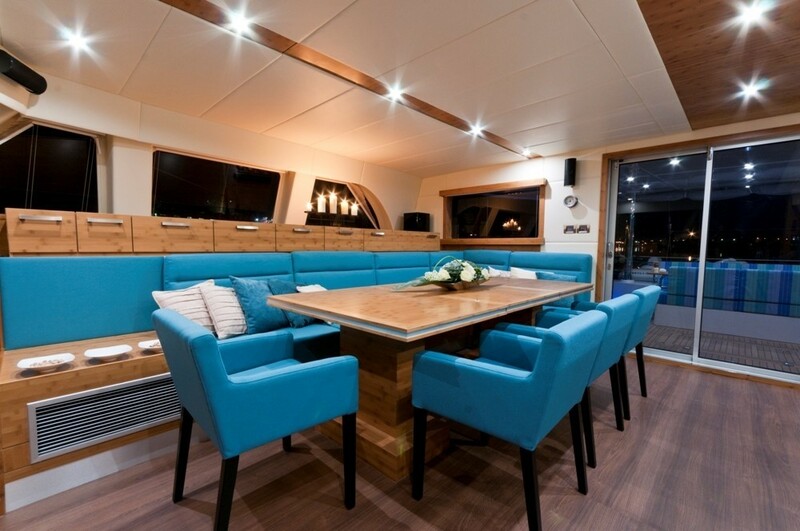 There is a beautiful saloon/dining room on the main deck with two coffee tables convertible into one large dining table, a 40´ LCD TV and DVD, and a fully equipped galley with an elegant and handy bar to serve drinks and meals. 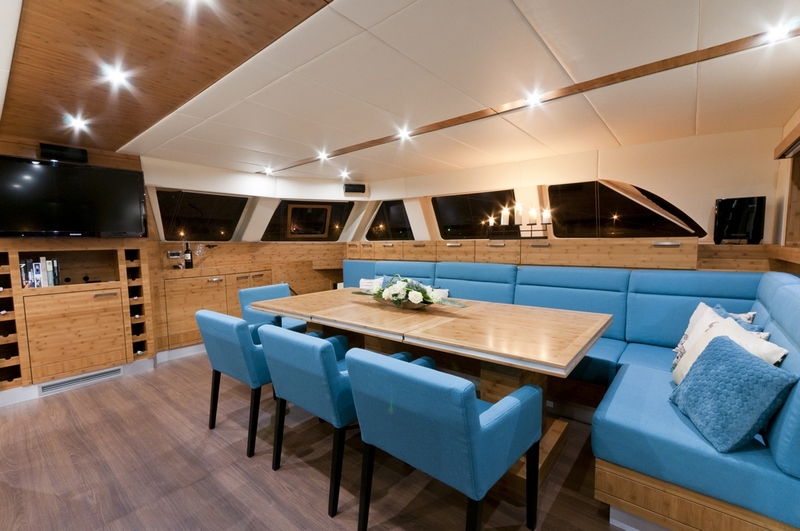 Anini's aft deck features a dining area with a small fridge, large colorful sofas and sun pads, and extensive storage. 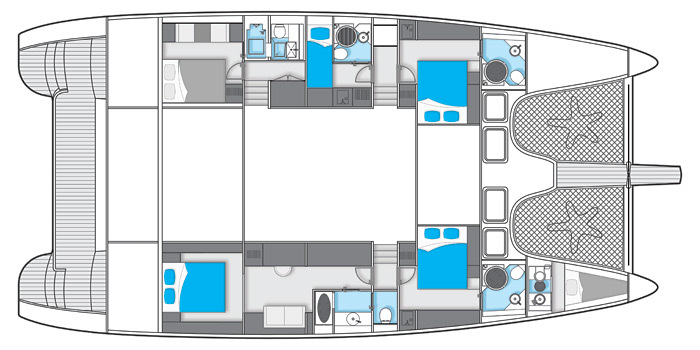 The flybridge comprises the main helm station, and a comfortable dining area with a small fridge, sun pads and benches. 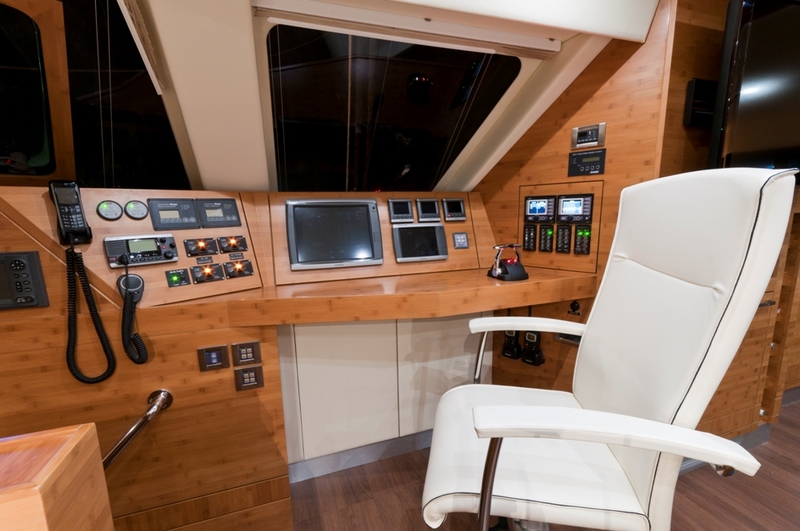 Both the cockpit and the flybridge are finished in teak. The interior navigation station is situated in the front section of the main deck and includes all the necessary navcom equipment, such as the touch screens with multifunction displays, autopilot, GPS, radar, yacht controller, satellite phone and fish finder. 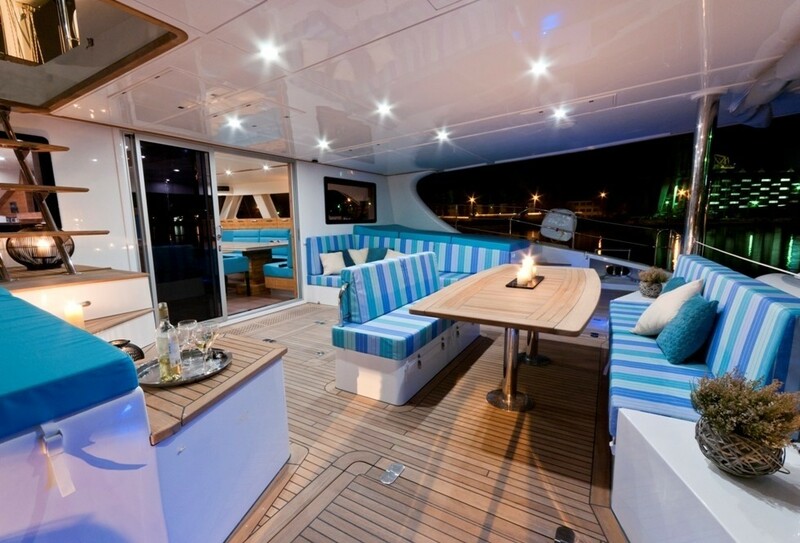 21.40m super yacht ANINI is run by twin 240 HP YANMAR engines. Her beam is of 10.40m and her draught of 1.6m. Sunreef 70 super yacht ANINI sleeps 8 guests in the master suite and one guest cabin in the portside hull and two guests (one with bunk beds) with one crew cabin for 3 crew members in the starboard hull. 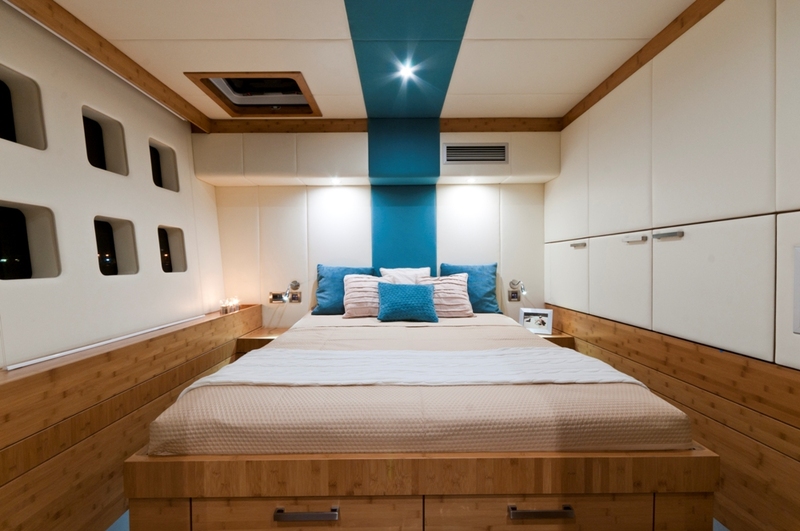 The master suite offers a double bed with night tables, an extendable sofa, work desk, TV and DVD, and lots of storage for long cruises. 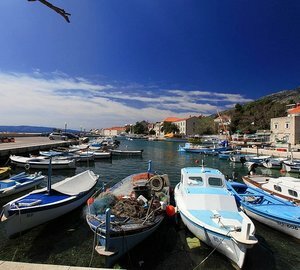 One of the guest cabins and the crew cabin are fitted with double beds, and the second guest cabin, great also for children, has bunk beds. 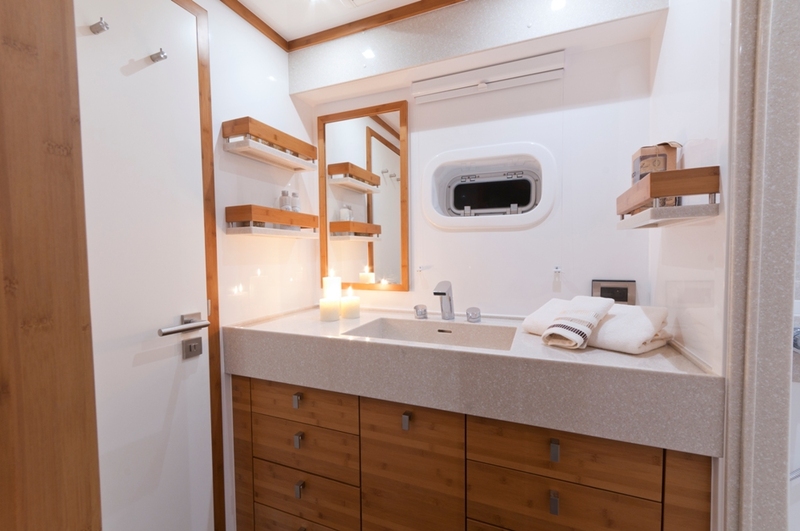 All cabins have private en-suite bathrooms. 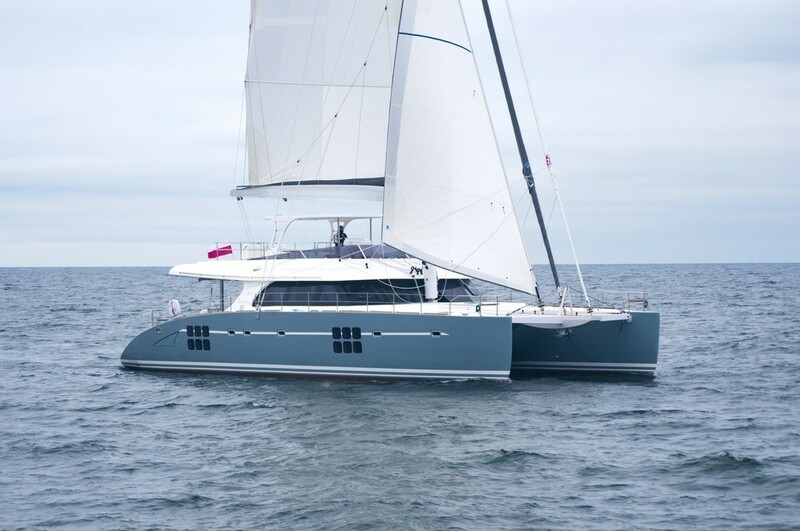 Catamaran ANINI has a range of tenders and water toys including a Williams 445 Turbojet, Waterskis, 2 Windsurf Boards with Suit of Sails, 2 Stand up Paddle Boards, 2 Surf & 2 Regular Kayaks, Multiple Boogie boards, 2 Bicycles, Home Theatre System, Internet.